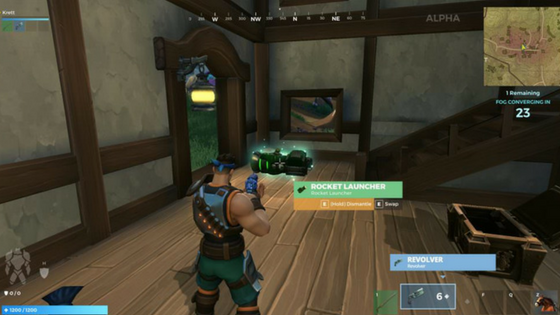 Hi-Rez Studios developed Realm Royale that is similar to other battle royale concepts yet different in overall gameplay. Comparatively, the visuals of the game have drawn similarities to Fortnite and World of WarCraft. The game is originally based on the hero shooter game Paladins Battlegrounds. Realm Royal continues the legacy, fantasy storyline but introduces and adaptive personalization of both character and weapon. 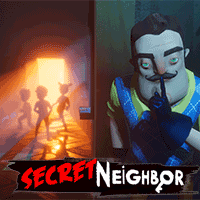 However, the game is still in predevelopment but is offered as an open beta game for testing. 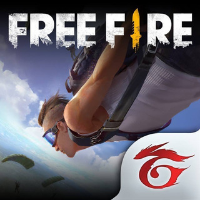 Additionally, this game also available as an extended test server so gamers can receive and give feedback before updates become fully published. Earn the Crown Royale as the last champion standing. Play as uncanny champions in different classes that loot for powerful yet deadly weapons. Additionally, every champion has special abilities that are different than the other. 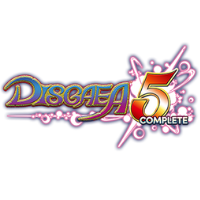 Furthermore, jump on a horse and explore the endless fantasy world while racing away from the deadly fog. Finally, forge and personalize gear that works for your champion so you can survive the 100-player Battle Royale. 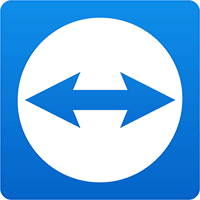 Escape a shrinking map and outwit your competition. This 100 player versus player can either team up or join in on a solo effort. Breakdown and craft items from materials looted from your counterparts. However, just like any battle Royale gameplay you or your team must be the last one standing to win the game. You must choose from five classes at every match. Identify each class with their personalized abilities. Whether you are a magical sage, assassin or bloodthirsty warrior each champion is very different from each other. In fact, players can decide if they want to fly, earn their skills at the bow or snipe your enemies from a distance. 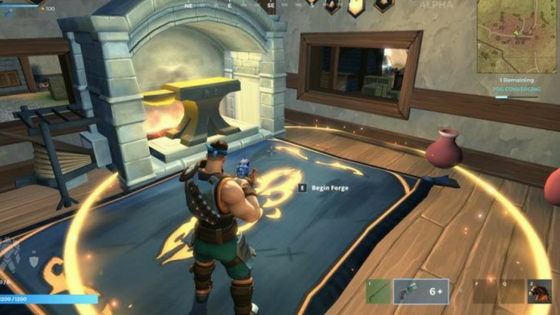 In Realm Royale you are in total control of the weapon you hold. Forge personalized weapons and abilities throughout the game. Building weapons are the key to winning the game. Furthermore, you must find special forges that lay hidden around the realm. However, be aware at all times while crafting weapons, your enemies can easily sneak up and destroy you. The Realm is bigger than it seems and if you are to outrun the deadly fog or an enemy you will need the help of a faithful horse. Summon and mount your steed whenever or where ever you are. Moreover, use your ride to explore the deepest darkest locations on the map such as Goblins Gultch. Realm Royale is entirely designed with the focus on a four-person squad. Team up with three of your best mates to strategically dominate the battle for a win. Use the abilities of the team to heal or sense enemies with drones to detect enemies from a distance. This test server is a separate environment where players can experience the latest editions before they are launched to the beta. Additionally, be the first to try additions created by the developers in their initial form. Be one of the first players to give live feedback on game additions before they officially go live. 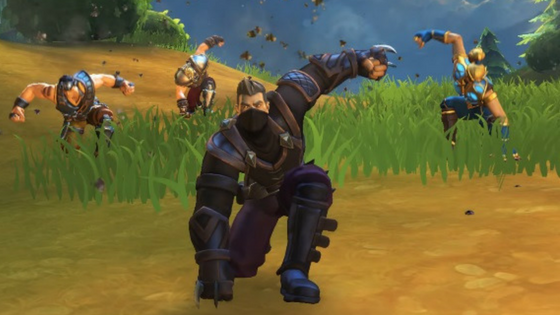 Realm Royale is a unique Battle Royale game with a gameplay that is unmatched by any other. However, this early access game stands up to its fully released counterpart offering more customization and larger more enhanced maps. The stunning graphics a whimsical yet are superior with a smooth real-time display. 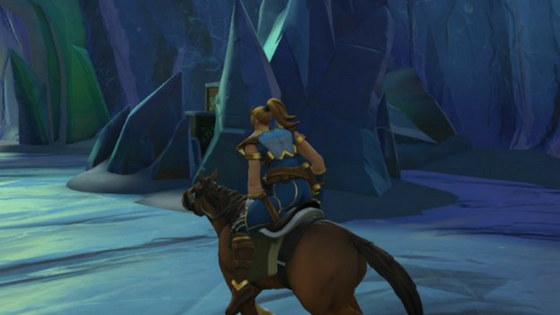 What do you think of Realm Royale? Have a question or comment? Leave a comment below.